Smokin’ hot guns are every lady’s dream! Or a day at the spa…or a shopping spree…or a hired cleaner – all things I can’t really give you via Physical Kitchness. But I CAN give you a crazy effective arm workout that will leave those lady guns burning, and maybe even a little sore the next day. 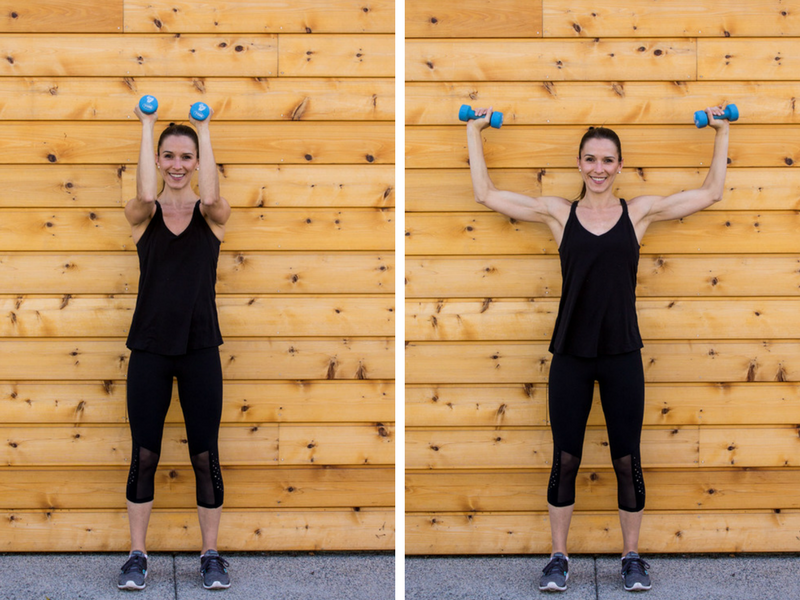 This sculpted arm barre workout is one of my go-to’s for a quick and killer shoulder, bicep, and tricep scorcher. I get asked often what I do for arm workouts, and I never know how to answer. “Ummm a buncha stuff? Carrying 20lb and 30lb kids everywhere? Boot camp every so often?” But when I really think about the exercises that have completely shaped my arms for the better, I think of barre. I know, I know, I’m totally biased (being a barre instructor and all). Barre really is legit though – those tiny little upper body movements at the start of class always, ALWAYS kill me. And I’m talking about 2-4lb weights you guys. 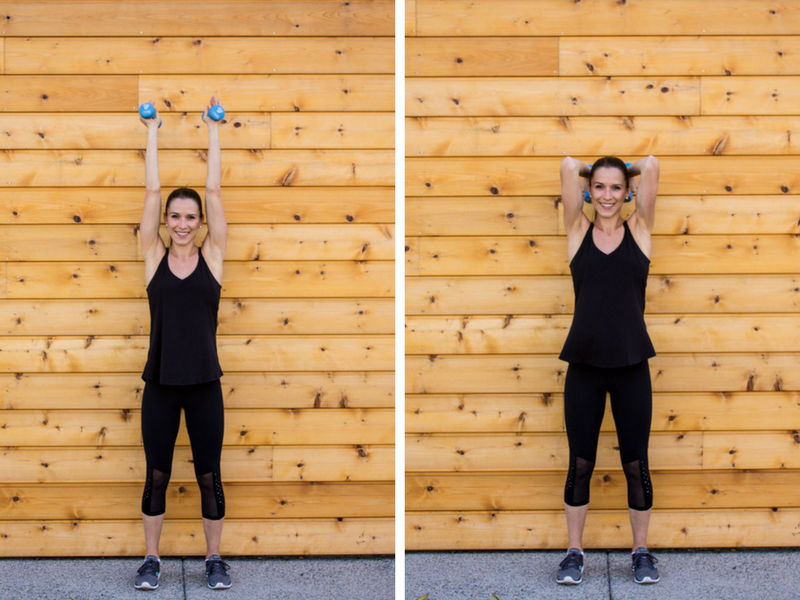 No other strength training routine has attributed to the toned, sleek arms I love. Don’t get me wrong, I do love lifting some heavy stuff too. 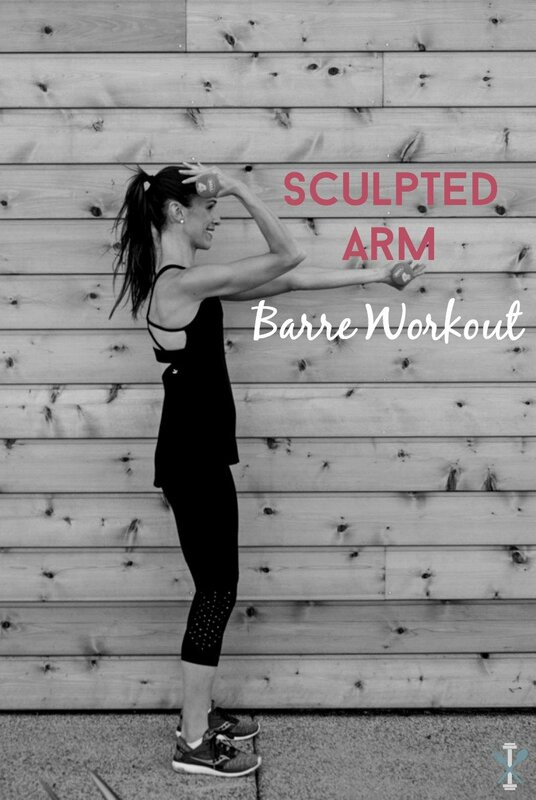 But for toning and sculpting in the most defined arm way, this sculpted arm barre workout is where it’s at! Start with your feet hip-distance apart and lift your arms to shoulder-height. Keeping one arm fully extended, bend the other arm – bringing the weight in towards your shoulder to execute a bicep curl. Alternate arms and repeat for 30 seconds. 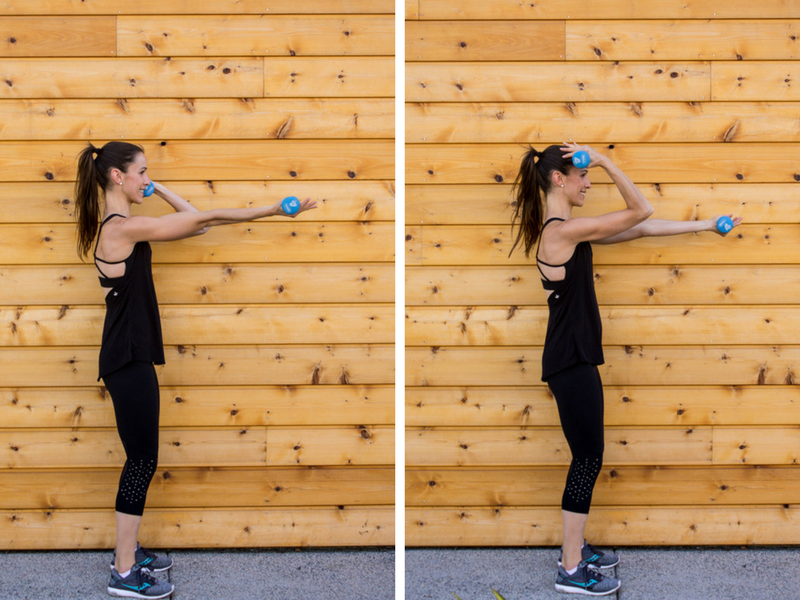 Immediately after the bicep curls, bend both arms to 90 degrees, palms facing your face. Next, lift your arms a few inches upwards, keeping the bend in your elbows, then lower back to shoulder-height. Continue these upwards pulses for 30 seconds. After the shoulder pulses, flip your palms to face each other, then press your arms out to your sides, still keeping the 90 degree bend the entire time and elbows parallel with your shoulders. Bring the weights back in to the midline of your body and repeat the outward chest press for 30 seconds. From the chest press, extend your arms fully, executing a T from your shoulders with your palms facing out. Next, bend your elbows to bring your weights in towards your shoulders, executing a hammer bicep curl. Keep your elbows parallel with your shoulders the entire time, and continue the hammer curls for 30 seconds. After the hammer curls, extend your arms above your head, palms facing each other. Then bend your elbows to bring the weights behind your head, all while keeping your elbows parallel and close to your ears. Extend your arms again and repeat the tricep dips for 30 seconds. Lastly, bend forward slightly at your waist as you extend your arms in front of your chest (palms facing each other). Bend your arms to bring your elbows behind your body and weights up to your chest. Continue for 30 seconds. Repeat this 2-3 times until you are fatigued. If you’re not burning and shaking, either 1. up your weight, or 2. do each move for a longer period of time. The workout length and intensity is completely up to you! 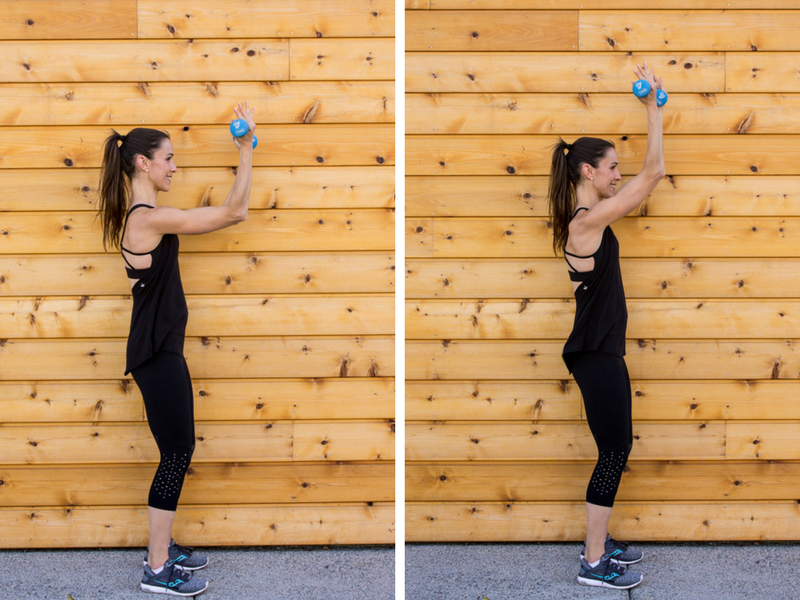 So there you have it, a sculpted arm barre workout you can do at home or in the gym. 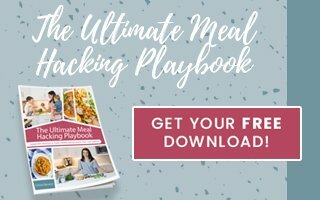 Curious for more ways to work those lady guns? 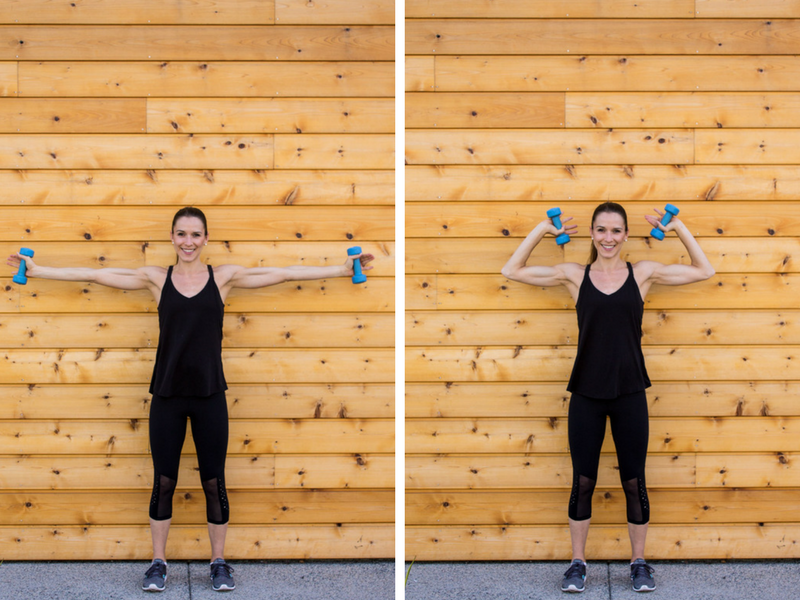 Try this total body garage circuit with dumbbells, buff lady arms workout, or another upper body barre circuit with this transform your arms in 6 moves. THESE LOOK HARD. O_O Wow, I want to pin this and then try it. I think I should start with really small weights. Definitely not too hard. Use the weight comfortable for your and watch your form. I did two rotations using 5 lbs.Got my blood pumping! Thanks for this. Now…i’m going to try this. My issue is consistency to get that definition. I workout very regularly with a lot of plyo, running, and yoga. I don’t really have room to add anything BUT I like to try new things SO any suggestions on how to incorporate similar workouts more frequently without doing the same one over and over? Do you recommend maybe doing this and switching it up with other forms of low weight/high rep moves? Sorry for the essay! Just curious :). Thank you!! Yes totally. I switch this up with traditional weight lifting and it keeps my muscles guessing. I have plenty of other workouts for more traditional free-weight workouts on this site too! How often do you recommend doing this particular workout? Once a week or more?? Unless I missed it how many times a week do you recommend? I tried this yesterday!! My attitude going in was “piece of cake” but by the end I was already sore! Glad I went with 2.5 lbs or I’d probably be crippled today haha. Great workout, thanks for sharing! Isn’t that the truth?! Looks can be deceiving! Please forgive me can you tell me how many repetitions or is just 30 seconds each workout? Hi Rentia – I would consult your doctor about this question. Thanks! Wow! This is the first workout that I have done of yours, Chirssa, and it will not be my last. I wanted a quick arm workout that I could do in my office with the 6 lb dumbbells in my desk. This was perfect! My arms are shaking! Can’t wait to try more of these! My first day and LOVE LOVE LOVE! My 60 year old arms are gonna look great!! Hi! I really like these exercises! They look simple enough but your arms feel like spaghetti after you’re done! Loll! I was wondering if you had the equivalent but for the lower body so that I can alternate? Thanks! I have tons of lower body workouts that are barre-inspired like this within my workouts category 🙂 Or search ‘barre’ in the search barre for more. I am 70 years young but suffer with sciatica and have arthritis in my knees. Hi Joyce – I don’t have a ton of that on my site, unfortunately. But I do have some low impact exercises. I just saw these arm exercises and I’m definitely going to try them. Will these help slim my arms as well or do you have any suggestions for that? 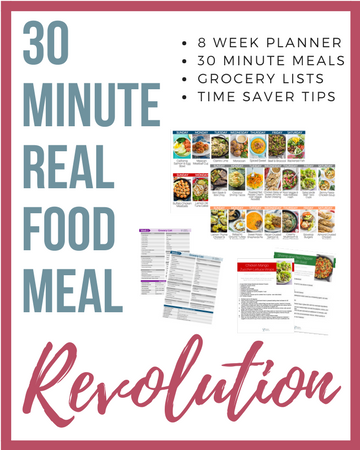 This will definitely help tone but results will vary dependent on so many factors! Thanks so much for stopping by Barbara! Good luck! I’m going to start this for my very flabby arms, just curious how fast can you see results, if done 3x’s a week? Results will vary dependent on diet and body composition but worth doing 3x a week to see! You could definitely do every day! I would start with 3-4 times a week. Please make workout videos for us to follow. Have a group of ladies that get together and it would be so helpful!! !